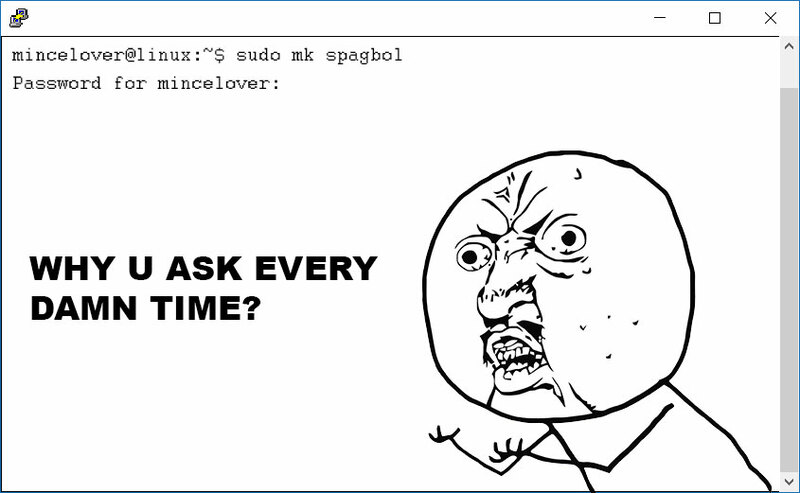 Every time you issue a sudo command, Linux asks for your user password after a certain inactivity timeout, usually 5 minutes. This is the recommended behaviour to prevent unauthorised commands being run by someone or a malicious script in your absence. However, this requirement can be disabled per session or permanently, or you can extend the inactivity timeout. This command below will prompt you for your sudo password once and never again until you log out and in again. Add to the end of it ,timestamp_timeout=60 (where 60 is the amount of minutes). At the bottom of the file, paste in the following, replacing username with your own.